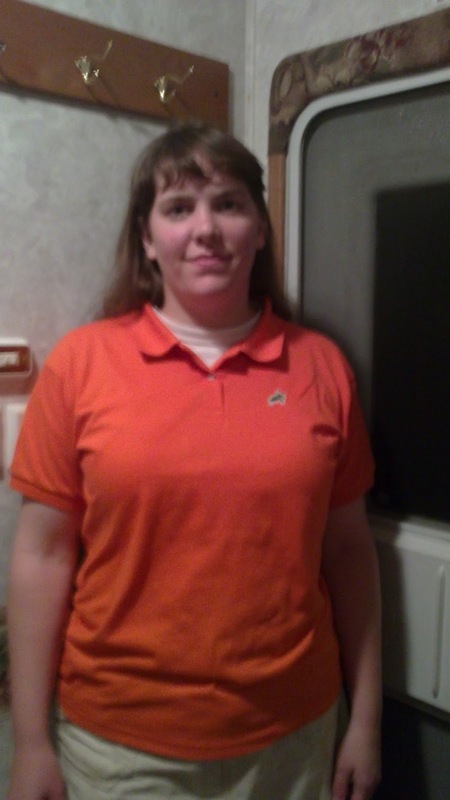 Hope's Cafe: SFF #23 Loggerhead Apparel Review and Giveaway!! How many of you have ever heard of Loggerhead Apparel? No? Then you're missing out! A polo shirt is a must-have for spring, and Loggerhead Apparel has some of the best! 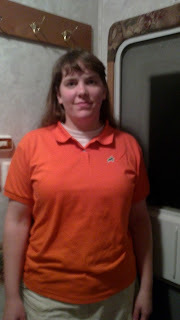 I received the Women's Bellwether Polo in Hartwell Sunset Orange for review. This is a very feminine polo, yet very sporty. Made of 100% pima cotton, it is also the most comfortable polo shirt I've ever worn! The Hartwell Sunset Orange color is a beautiful orange; it's not overly bright and bold, as many oranges tend to be, but a lovely, "just-right" color. The shirt features the Loggerhead logo, which is a Loggerhead Turtle. I love pairing this with my denim skirts; it gives a classy look, and can be worn either tucked in or left out. Either way it looks great! It's very cool, so it is perfect the warm weather we've been experiencing. Perfect for trips around town, a game of racquetball, or for dinner at your favorite restaurant. If you're looking for the ultimate polo shirt, you won't find any better than the Bellwether Polo from Loggerhead Apparel! You can also enjoy knowing that 100% of profits from your purchase will go to local Loggerhead Sea Turtle conservation efforts! "Loggerhead Apparel was born in the minds of two South Carolina natives in early 2009. One a product of the Lowcountry, who grew up on the coast just north of Charleston. The other a product of the Upstate, the grandchild of mill workers in the textile town of Spartanburg. Their passion and pride for the state of South Carolina, its people and its beauty, its wildlife and its economy, led to Loggerhead Apparel. The Loggerhead Sea Turtle is an endangered species, and the coast of South Carolina is extremely important to its survival.The textile industry of South Carolina, once thriving, is as endangered as the Loggerhead, and has a huge impact on the economy of our state. Loggerhead Apparel will provide top-quality, American-grown, American-made clothing at a fair price. Ten percent of the revenue gained from the sale of all Loggerhead Apparel shirts will be donated directly to local causes supporting the conservation and protection of the Loggerhead. In addition to supporting the Loggerhead, Loggerhead Apparel will also support the local textile industry, because no part of the production process will take place outside of the United States"
One of my readers will receive a Bellwether Polo!! I like Southern Moon Pink. Bulls Bay Blue is my favorite color. I entered your Miche Bags Bag + Shells, Midnight Velvet $50.00 GC and Cafe Press $50.00 GC giveaways. direction the community, the landlord is like the pillars of the community. 2011 Longchamp Travel bags A landlord in the community of tomorrow will be better! I like the Sweetgrass Green color. I entered the Coldstone, Lovely Apron, and Miche giveaways. I love the Sweetgrass green. I entered the HBL Thermal Styling System giveaway! I entered the Bob's Red Mill giveaway. -Left Comment on this Post: Sweaters For Spring! !